We asked David Reddy, associate director at Knight Frank, about Brexit and the impact it is having on the Dublin office market. London is the financial hub of Europe, providing corporate and investment banking services to the European Union’s 28 member states and beyond. UK-based financial firms are concerned that they may lose their passports to do direct business with their EU-27 clients when the UK leaves the single market. As a result, many of these firms are considering partial migration of financial services activities from London to other destinations such as Dublin, Paris and Frankfurt in order to retain their ability to meet their client’s needs. Dublin, which has strong geographical and cultural connections to London, has already benefited from a number of high-profile announcements with both JP Morgan, Barclays and more recently TD Securities expanding their presence in Dublin. JP Morgan purchased 200 Capital Dock which extends to 128,200 sq ft and is currently being developed by Kennedy Wilson, while Barclays and TD Securities are occupying 37,000 sq ft and 10,222 sq ft respectively in Green REIT’s recently completed One Molesworth Street. We do not only expect to see the bounce in occupier demand arising from Brexit to come solely from financial occupiers. 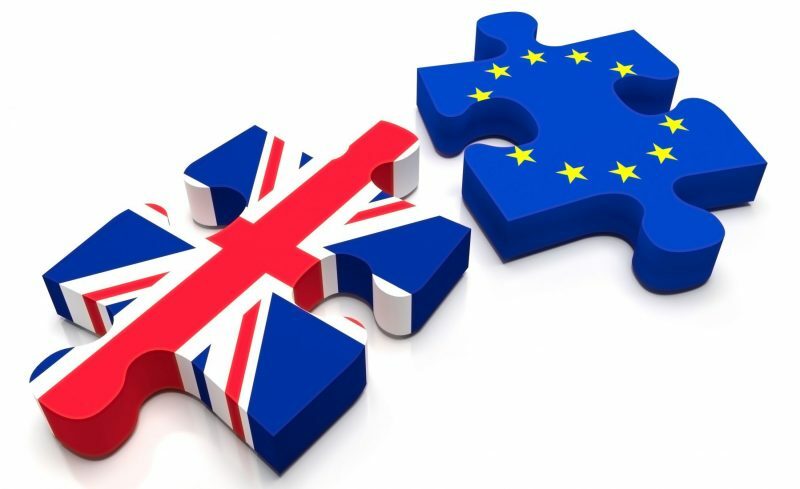 The technology, media and telecoms (TMT) sector in the UK could also come under pressure due to Brexit, as uncertainty over immigration and visas could have a large impact on this sector given that the typical workforce in a TMT firm is internationally diverse. Are suburban business parks like Park West well placed to accommodate an influx of UK and international firms? Park West is extremely well-positioned to accommodate an influx of UK and international firms. Home to a fluid and competitive mix of both domestic and multinational occupiers, Park West provides a low-cost, corporate environment close to both the city centre and the airport. With excellent amenities including a hotel, gym and swimming pool, cafés and restaurants, bars and a pharmacy, along with comprehensive onsite facilities management and a large residential base, staff are excellently provided for. Public transport options include a 20-minute direct rail service to the Docklands from the park’s on-site train station, numerous bus routes and easy access to the Red Luas line, which provides further direct tram access to the Docklands. How important is international access and how vital is Park West’s proximity to Dublin Airport in attracting firms? International clients have a straight run down the M50 and can be in Park West in 20-25 minutes, which is important. The campus is also 20 minutes from the city centre so it’s geographic location ticks several boxes. Is Dublin’s workforce skilled enough to handle an influx of large UK firms? Dublin’s educational institutions have a growing reputation abroad with international student numbers expanding by 17.5% over the last three years. Dublin is increasingly becoming a primary destination to study medicine for students from Asia with the Royal College of Surgeons, University College Dublin and Trinity College Dublin all offering medical training to overseas students. Trinity College, which has sister colleges in the universities of Cambridge and Oxford in the United Kingdom, is Ireland’s most prestigious university and attracts thousands of tourists annually to its historic campus in Dublin City Centre. Community is a major factor for any business when deciding to relocate. How does Park West perform in this regard? Park West has an active and thriving community, with organized events, runs and markets. The high number of software and e-commerce firms located in Park West has created a cluster of IT excellence which attracts like-minded companies. How important is Ireland’s corporate tax rate in attracting potential UK firms? 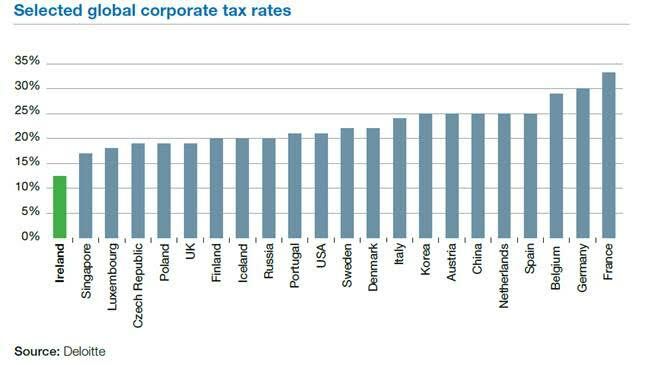 As illustrated in the graph below, Ireland’s corporate tax rate – at 12.5% – is one of the lowest statutory corporate tax rates in the world, lower than both the UK (19%) and the US (21%). It should be noted that while the corporate tax rate may have been the initial reason why international businesses came here originally, Ireland’s young educated workforce as well as its geographic position and membership of the EU and the Eurozone – which makes it a great base from which to access markets in the US, the UK, Europe and the Middle East – are now more important factors. Does Park West offer competitive rents to attract these businesses? Park West offers very competitive rents. Using the interactive Price Comparison Map available at ParkWest.ie, it is evident that rates, rents and service charges are extremely competitive compared to the other business parks in Dublin and indeed the City Centre. Rents in Park West are more than half that of prime city centre rents, and more competitive than other major business parks in suburban Dublin. Park West offers an exceptional location, with ample public transport routes and amenities in a well-run business park, which comprise modern office accommodation at a fraction of the cost.